The competition is open to all vocalists who are 16 years old or older, and who are not presently signed to a major record label. Singers must submit audio clips online through a website powered by Indaba Music (sarahvaughancompetition.com) by Sept. 5 at 5 p.m. Think you have what it takes? The judges are looking for vocal quality, musicality, technique, performance, individuality, artistic interpretation -- and the ability to swing. The grand prize winner of the coveted SASSY Award will receive a $5,000 cash prize. For the seventh consecutive year, singers from around the world will gather online to compete in the Sarah Vaughan International Jazz Vocal Competition (aka the "SASSY" Awards)—a 21st century version of the amateur night at the Apollo Theater that helped launch the career of a gifted teenager from Newark, Sarah "Sassy" Vaughan, more than 75 years ago. The competition at the New Jersey Performing Arts Center (NJPAC) was originally created for women, and was opened to male vocalists for the first time last year. The Arts Center presents the contest as part of the TD James Moody Jazz Festival supported by TD Bank, America's Most Convenient Bank® (November 3-18)—an autumn celebration that fills both the NJPAC campus and venues throughout Newark with every kind of jazz. "Sarah Vaughan's artistry is timeless and irreplaceable. The great joy of this jazz vocal competition is discovering the extraordinary voices who will carry her legacy forward," said John Schreiber, NJPAC's President and CEO. "We're thrilled that every season hundreds of singers from around the world, each in their unique way, advance the future of the music by entering this competition," he added. "We couldn't be happier that Sarah Vaughan continues to inspire musicians and music lovers via the SASSY Awards." "'Sassy' had a divine voice that inspired so many people throughout her career up to today. 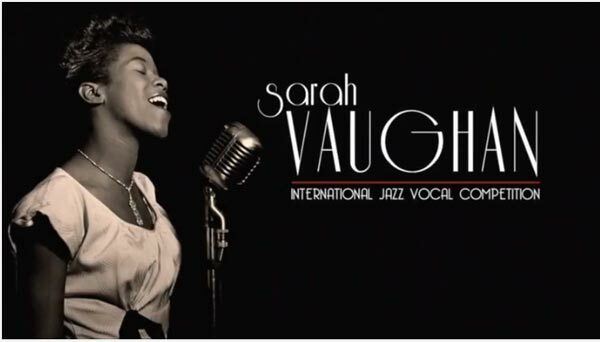 Her instrument, the voice, is the basis for the Sarah Vaughan International Jazz Vocal Competition. Opening the competition to all voices, regardless of gender, seemed like the natural progression," said Tony- and Grammy-winning singer DeeDee Bridgewater, who served as a judge during the contest's initial round in 2012. The competition has become a platform for a single outstanding jazz singer to gain widespread recognition in the music industry. Past winners include Cyrille Aimée, Jazzmeia Horn (winner of the 2015 Thelonious Monk Competition), Ashleigh Smith, Arianna Neikrug, Deelee Dubé, and last year's winner, Quiana Lynell. The only international vocal competition of its kind, the Sarah Vaughan International Jazz Vocal Competition culminates in a rousing performance by the five finalists on Nov. 18, at the conclusion of the TD James Moody Jazz Festival. Vocalists can enter by submitting recordings of at least three songs at at saarahvaughancompetition.com. The public can vote for their favorites; songs have been played, commented on, and voted for, hundreds of thousands of times over the course of the competition's existence. Five finalists, who will be announced on Oct. 12, will perform at NJPAC before a panel of judges that includes multi-Grammy-winning bassist Christian McBride, NJPAC's Jazz Advisor; six-time Grammy nominated jazz vocalist-composer Nnenna Freelon; Mary Ann Topper, President of the Jazz Tree, Inc. artist management; WBGO Jazz 88.3FM personality Sheila Anderson, and trumpeter, conductor and composer Jon Faddis. The incomparable singer Sarah Vaughan was born in Newark in 1924 and was known as "Sassy" throughout her life for her vibrant personality. After winning the top prize of $10 at the Apollo Theater's amateur night at age 18 in 1942, she went on to record with the greatest names in jazz, including Count Basie, Duke Ellington, Billy Eckstine and countless others. The 2018 Sarah Vaughan International Jazz Vocal Competition finals will take place on Sunday, November 18, at 3 p.m. in NJPAC's intimate Victoria Theater. Tickets on sale now at njpac.org, or 1.888.GO.NJPAC (1.888.466.5722).